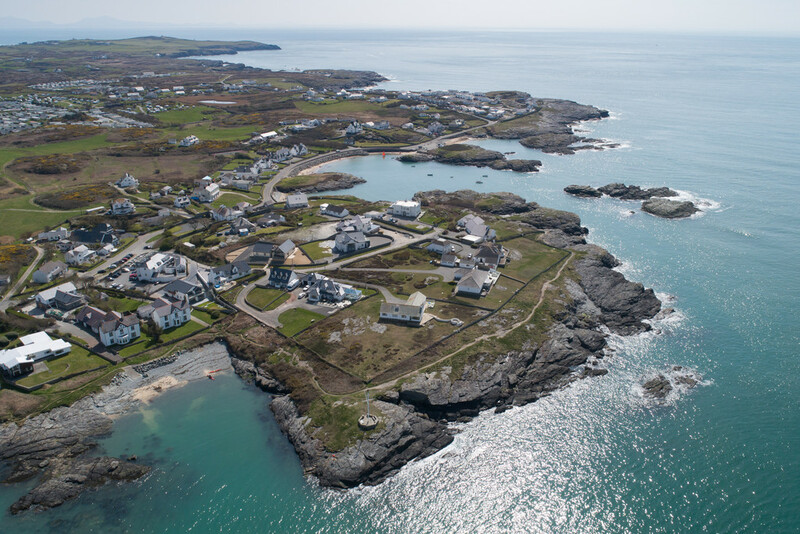 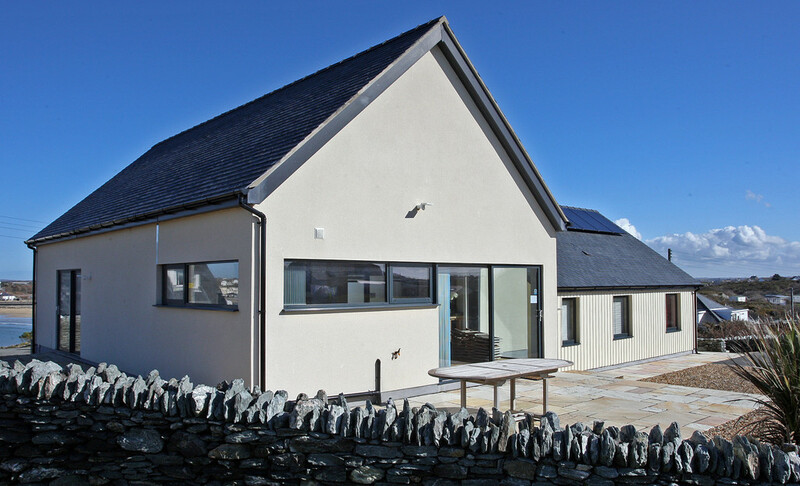 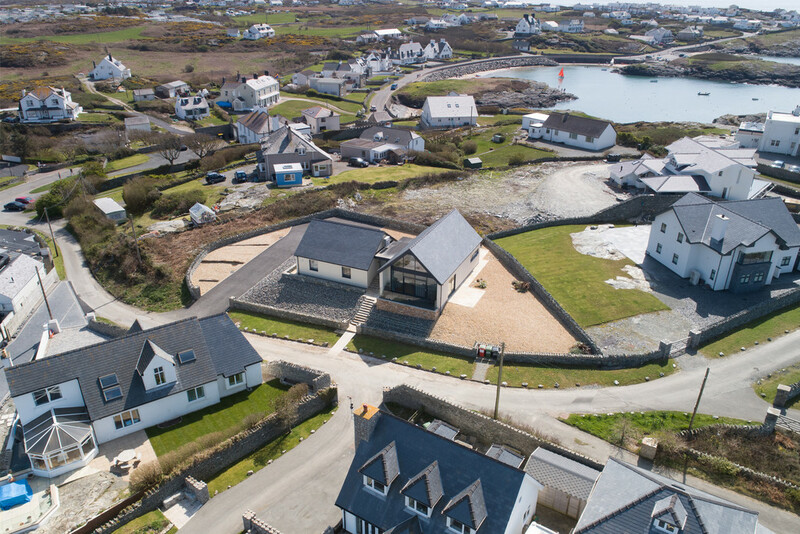 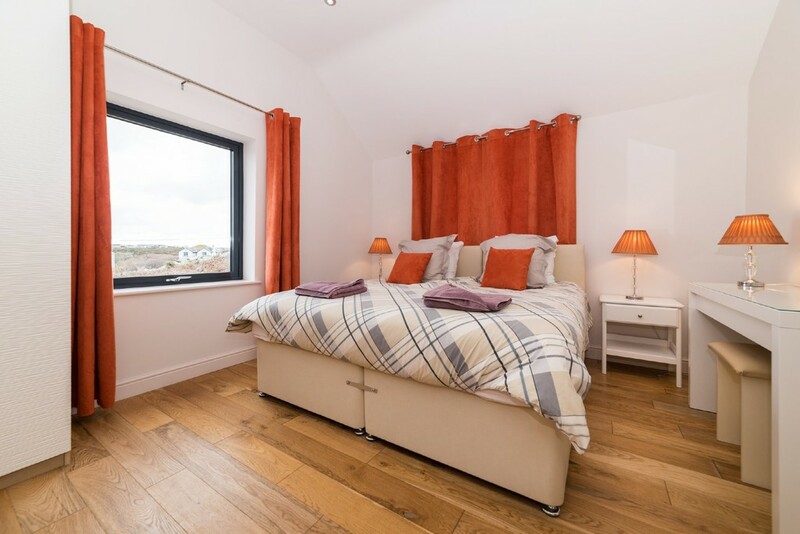 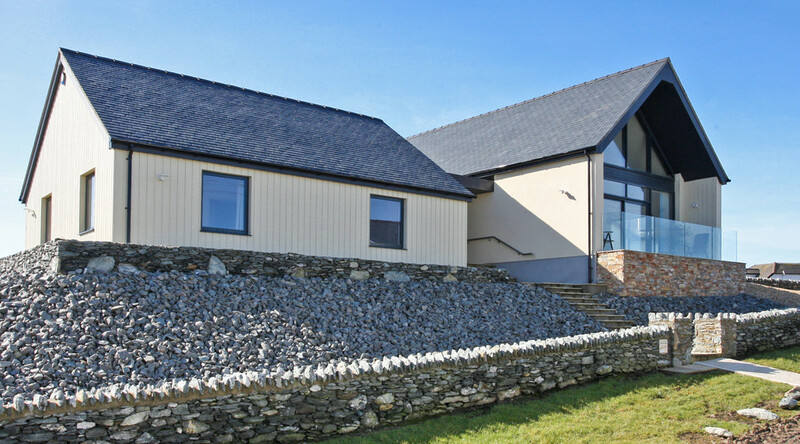 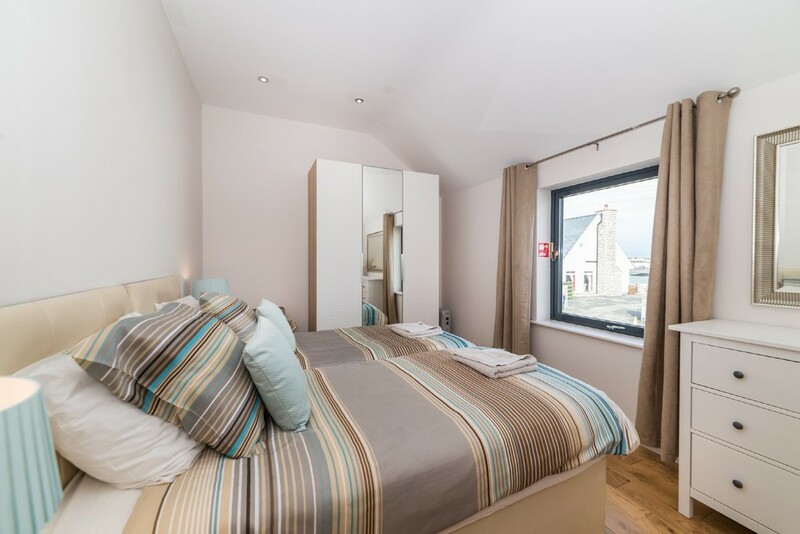 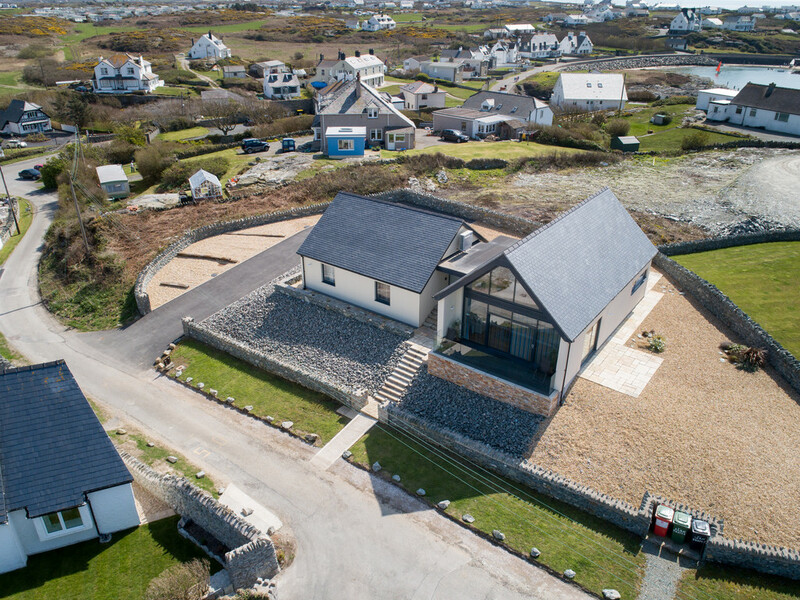 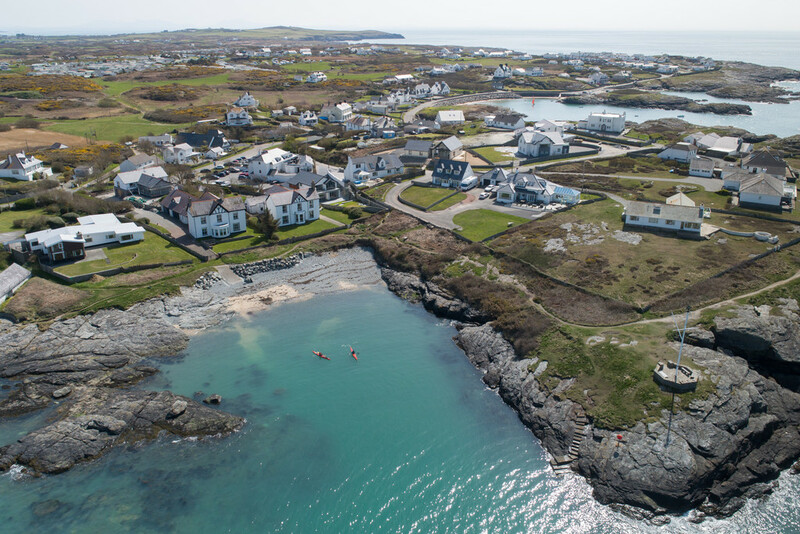 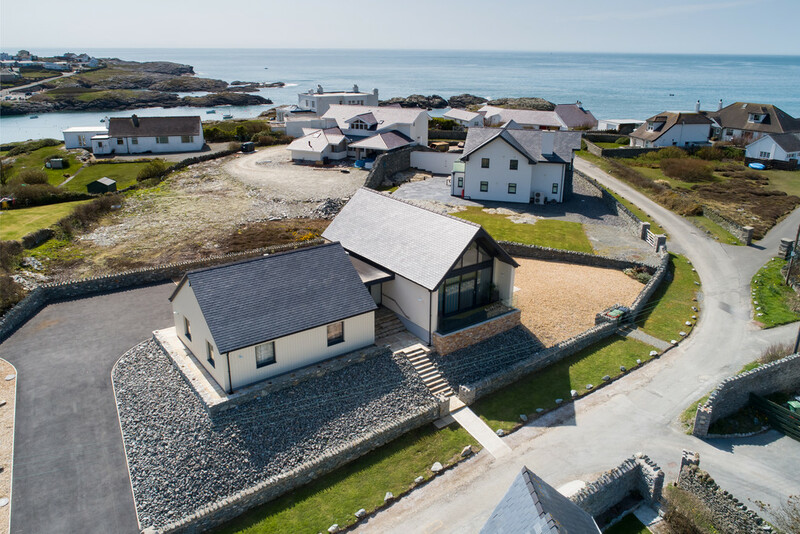 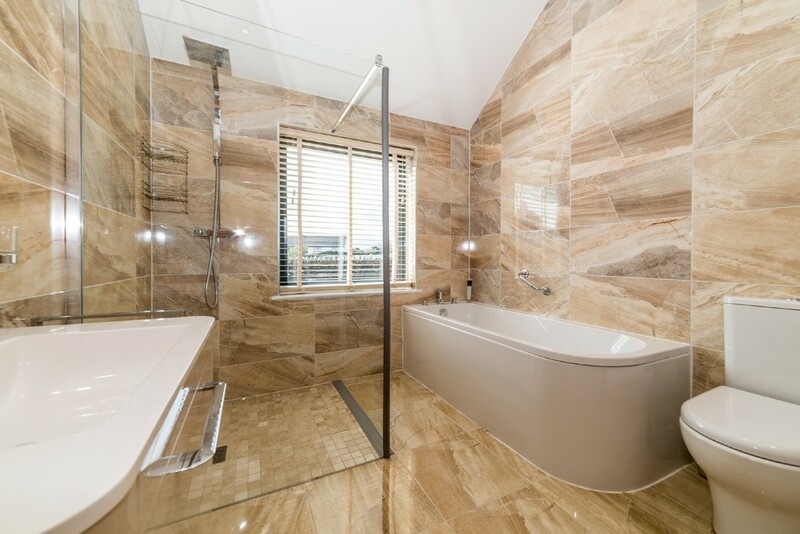 Perched on top of a renowned rocky headland towards the southern edge of Trearddur Bay's main beach are a collection of highly individual and exclusive residences, one of which just happens to be Llan Tropez, one of the more recent additions here, having been painstakingly built in 2015 to the most rigorous and exacting standards, yet portraying a certain understated presence. 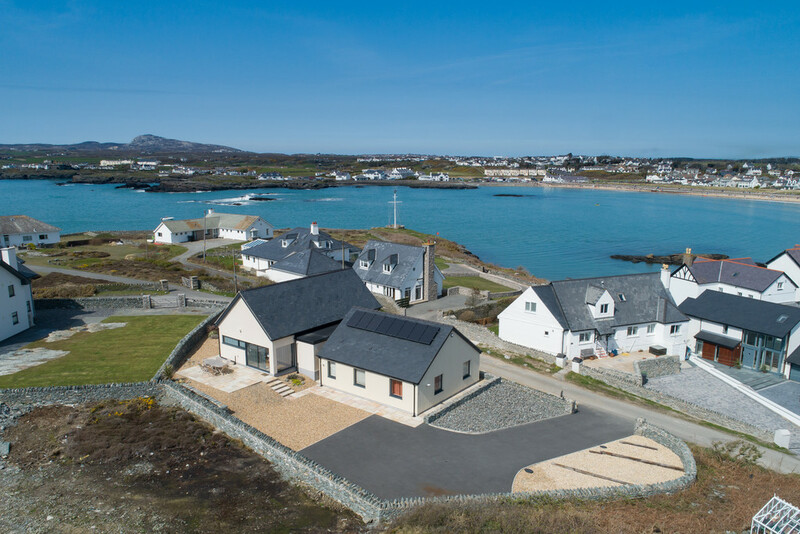 This enviable position situated just off the sought after Ravenspoint Road, guarantees an authentic coastal lifestyle in an undisputed beautiful corner of Anglesey. 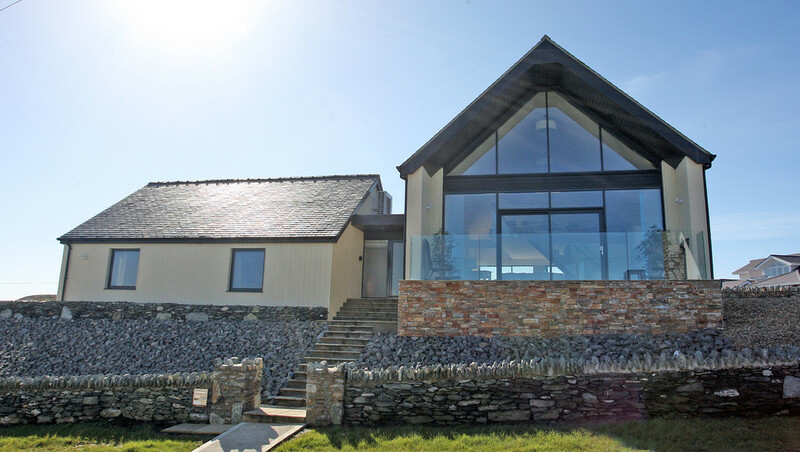 The promise of fine sea views is yours for the taking including hints of the Snowdonia mountains on the mainland. 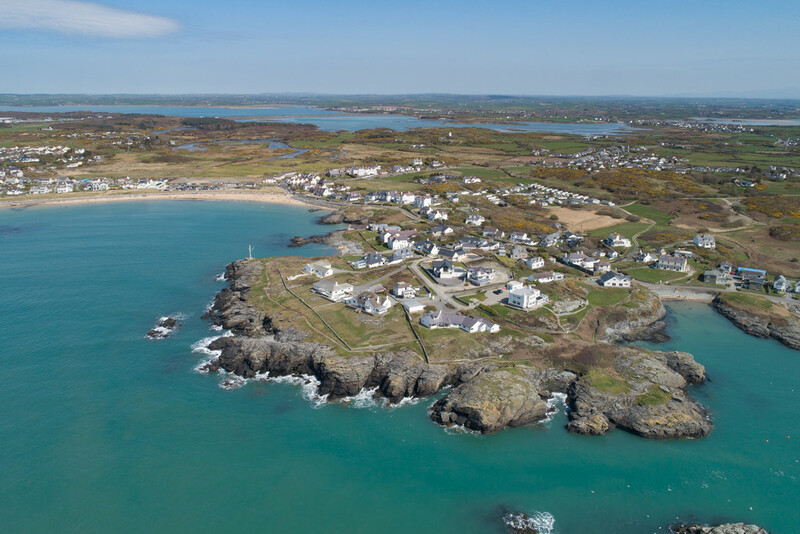 The fact that the residence is just a short stroll from 'blue flag' beaches and some lovely rocky coves, much of which is considered worthy of AONB status (Area of Outstanding Natural Beauty) ensures that there's always something of interest right on your doorstep. 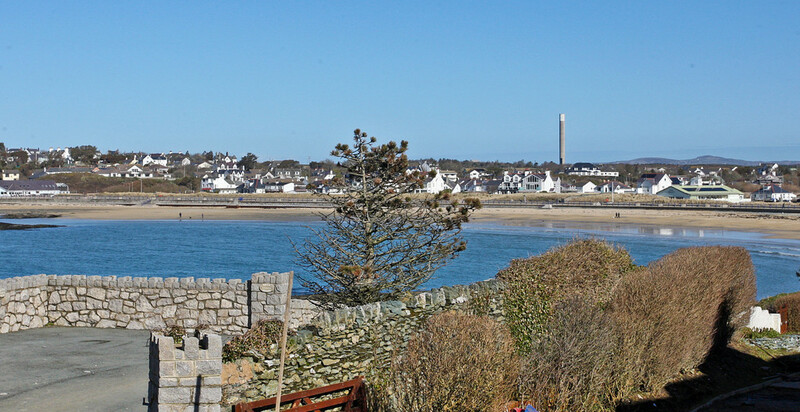 Indeed, the fine array of amenities which include restaurants, pubs and bistros makes this locality hard to beat! 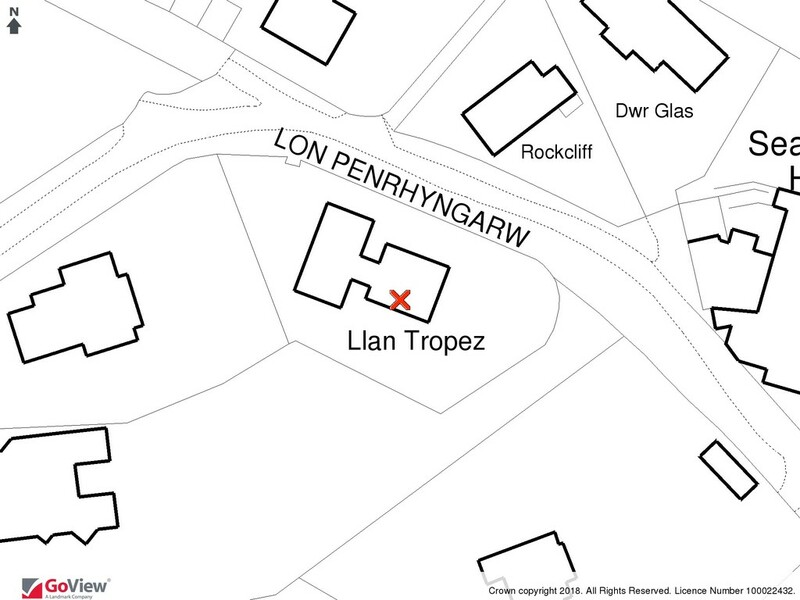 Let's now consider some of the finer points of Llan Tropez. 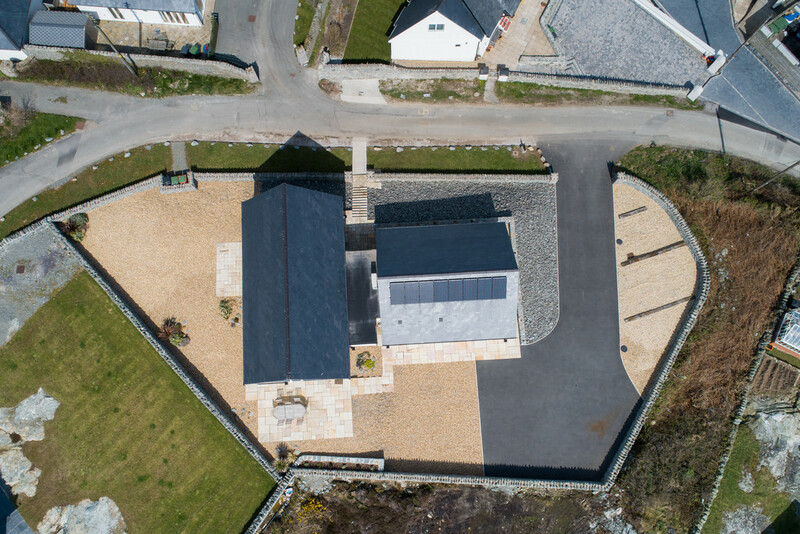 The immediate landscape dictated how this property came into being because tons upon tons of granite rock had to be removed in order to create the space that the residence now sits on - it's a semi split-level arrangement, creating a characteristic home of two halves with an eye well and truly on the detail, a unique and highly personalized vision come to fruition. 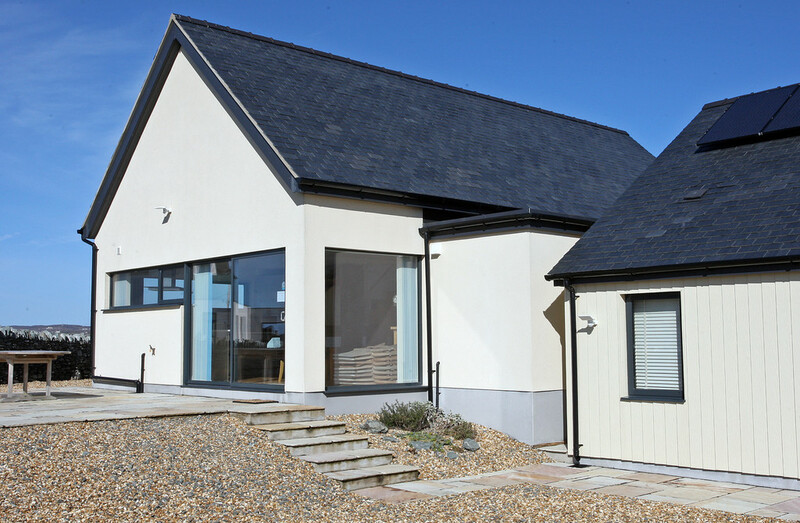 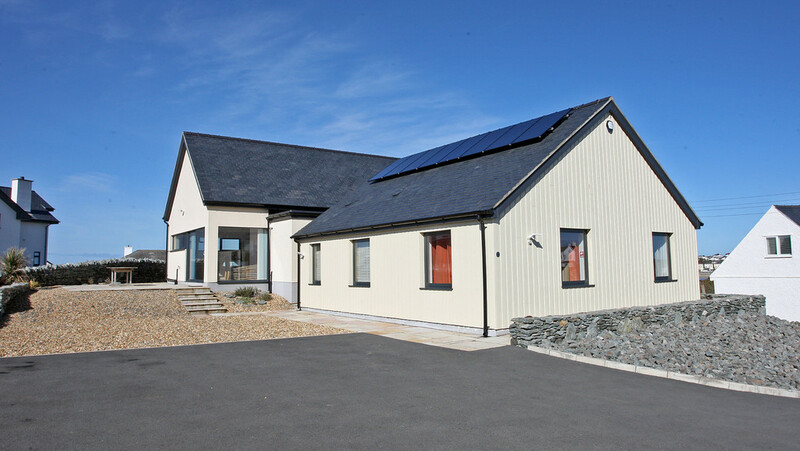 Built to a local architect's design, Llan Tropez incorporates many interesting design and technical achievements, the westerly wing elevations noted for its distinctive Marley cladding, doubtless a nod towards the traditional timber clad cottages of the past, with Weber render finishing on the east wing. 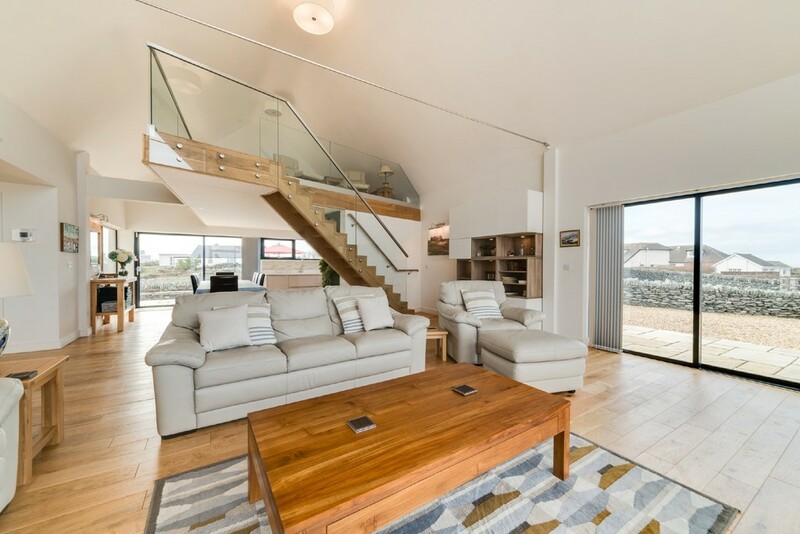 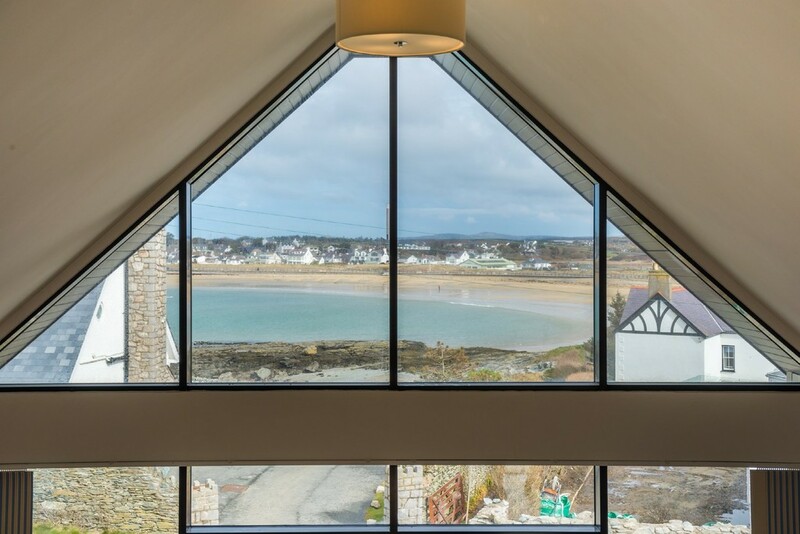 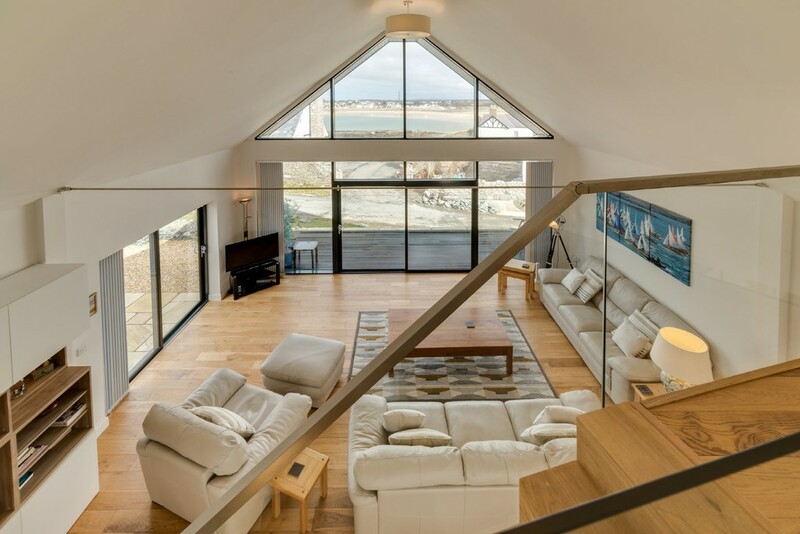 Stand-out internal highlights are most certainly the cantilevered mezzanine and the striking glazed northern elevation, glazing that reaches right into the apex of the ceiling, ensuring dramatic views of the principal Trearddur beach. 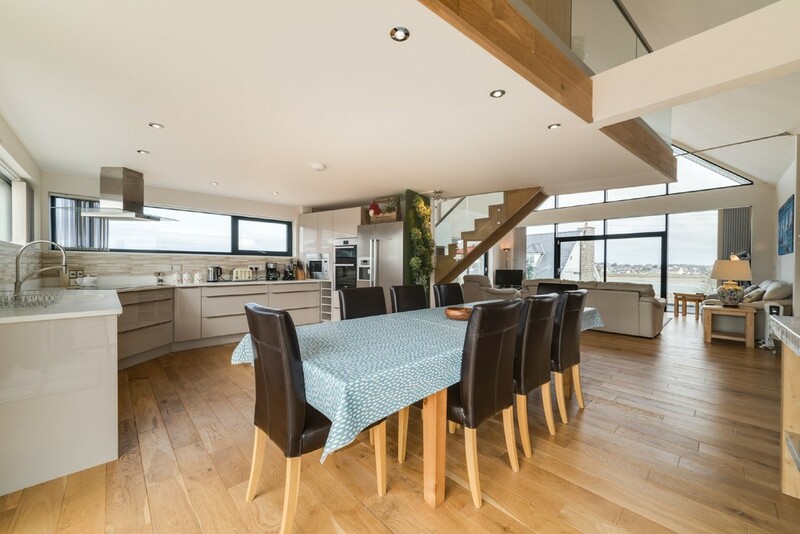 The sense of space and light is paramount within the interior with a commodious open plan layout and a bold contemporary feel. 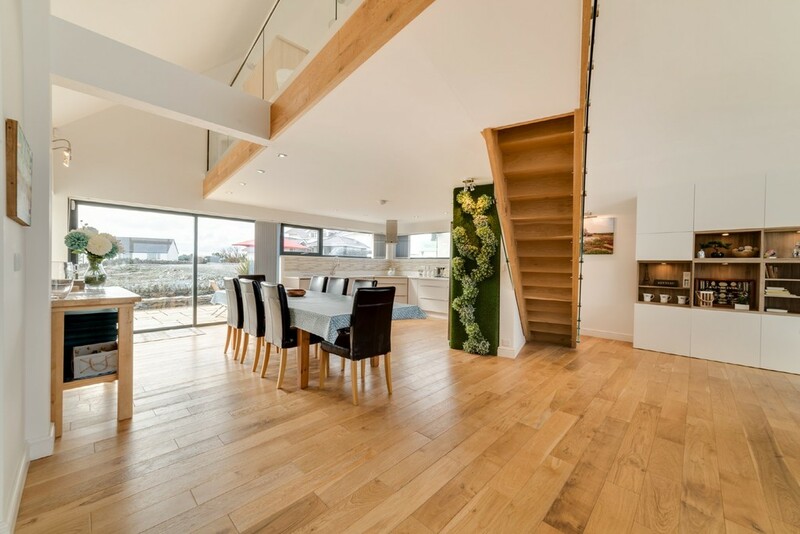 Yet a sense of warmth and homeliness permeates throughout, creating a living space which is quite compelling. 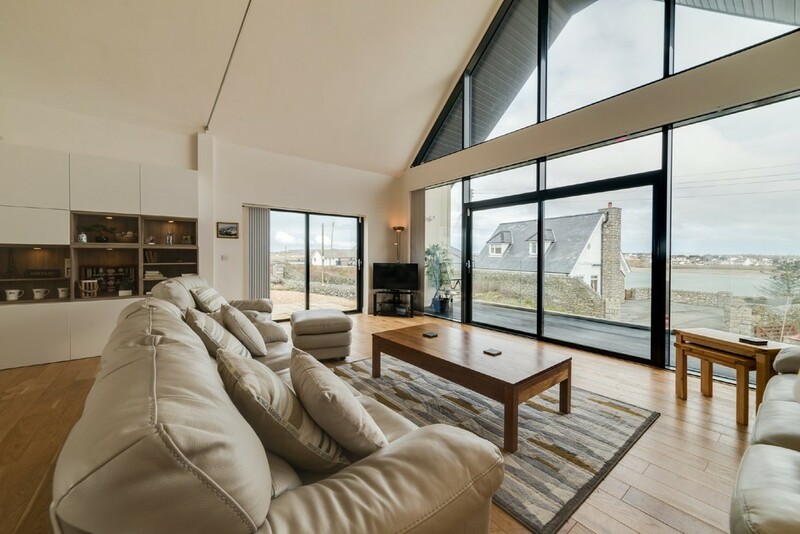 There are wide sliding doors to 3 aspects so you can really immerse yourself in the immediate surroundings, enjoy the sunshine or retire to a more sheltered corner, sitting back with a good book and glass of wine. 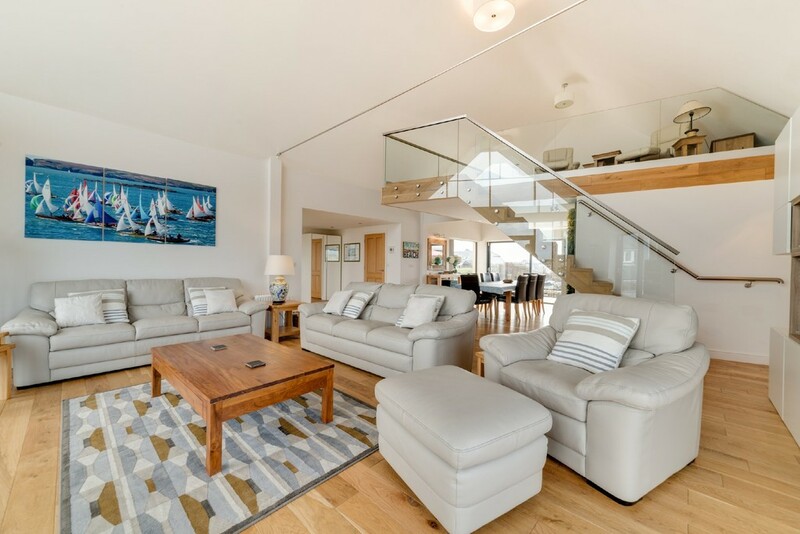 However, we're sure that al-fresco gatherings of family and friends on the southerly facing patio will be foremost on everyone's mind in the height of summer including the temptation to escape to the beach or take a sailing vessel out on the waters. 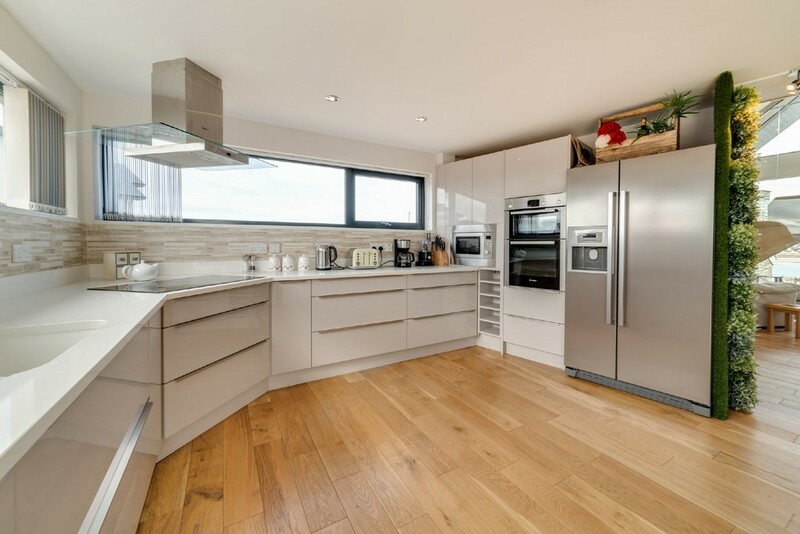 Needless to say, the presentation is second to none with kitchen and bathroom facilities at the cutting edge of design, the kitchen featuring light granite worktops whilst incorporating a host of built-in appliances, the use of quality materials and up-to-date trends adding to the sense of quality and assuring practicality on all levels. 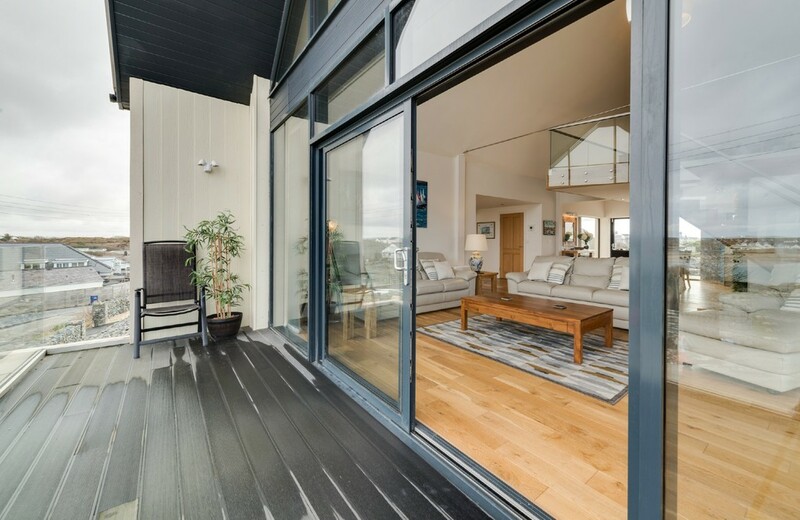 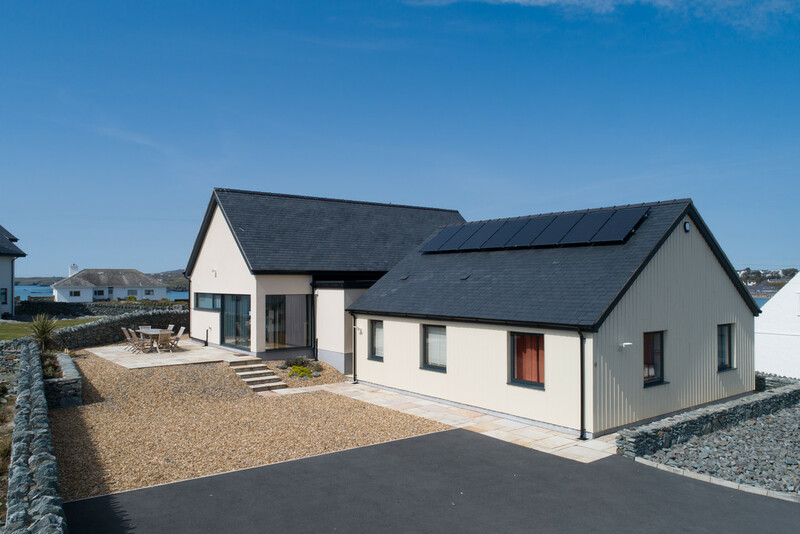 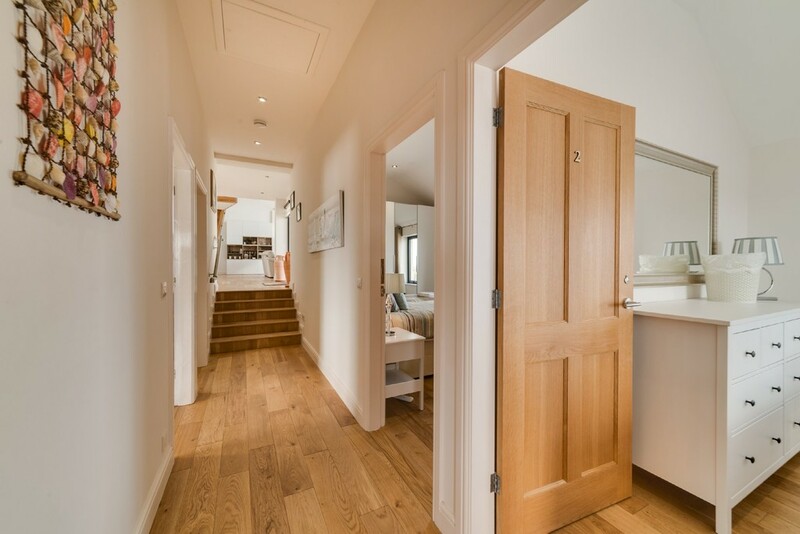 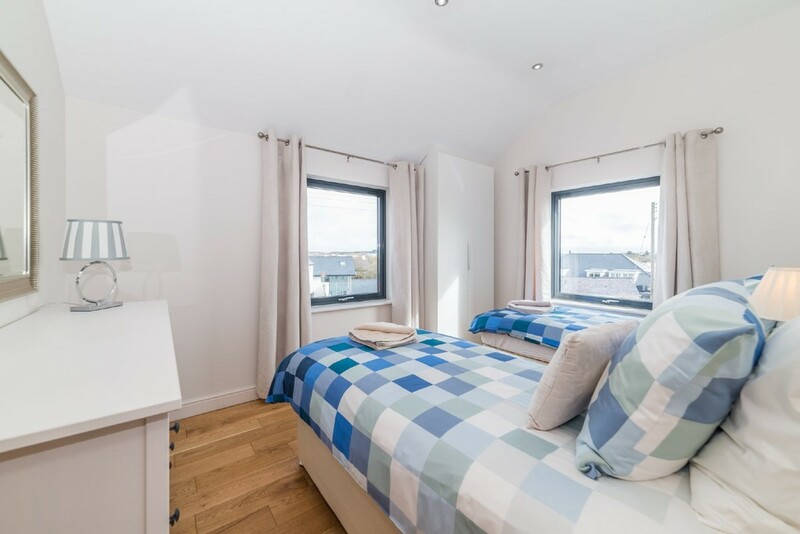 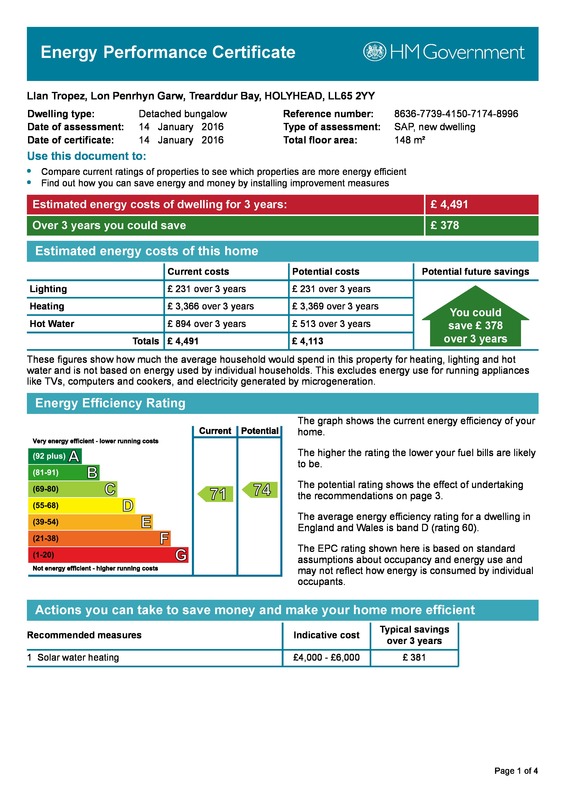 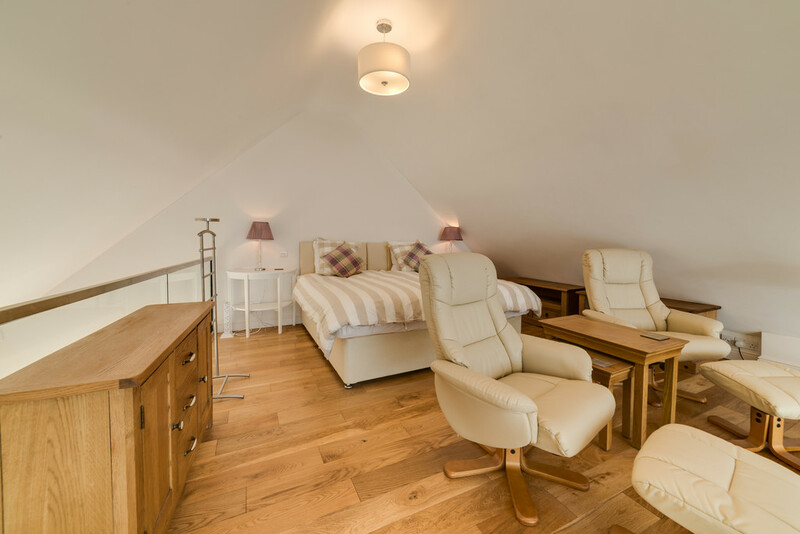 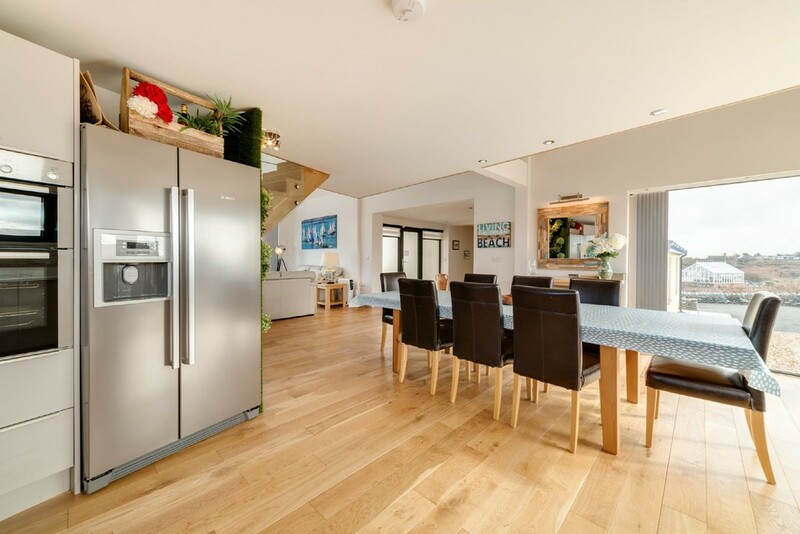 All main floors feature engineered oak flooring (the entire ground floor with under-floor heating), stylish coloured aluminium double glazing throughout and there is an 8 panel rooftop PV solar installation to help keep those electricity bills at bay! 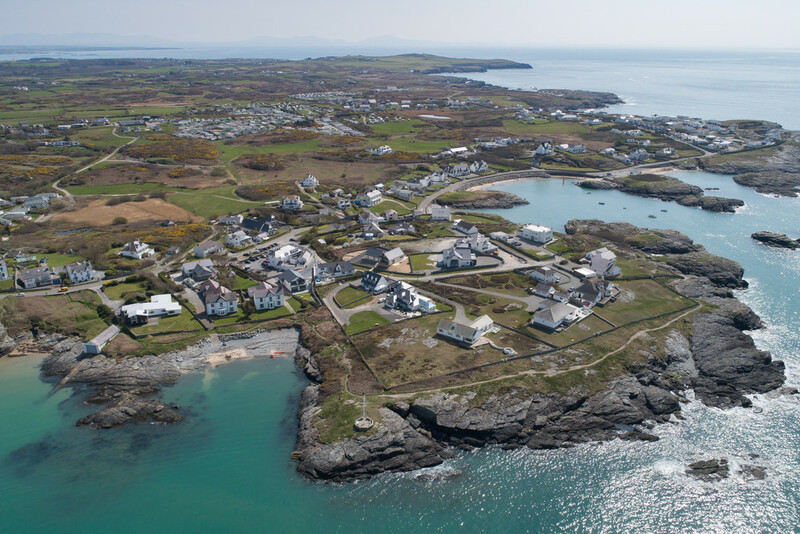 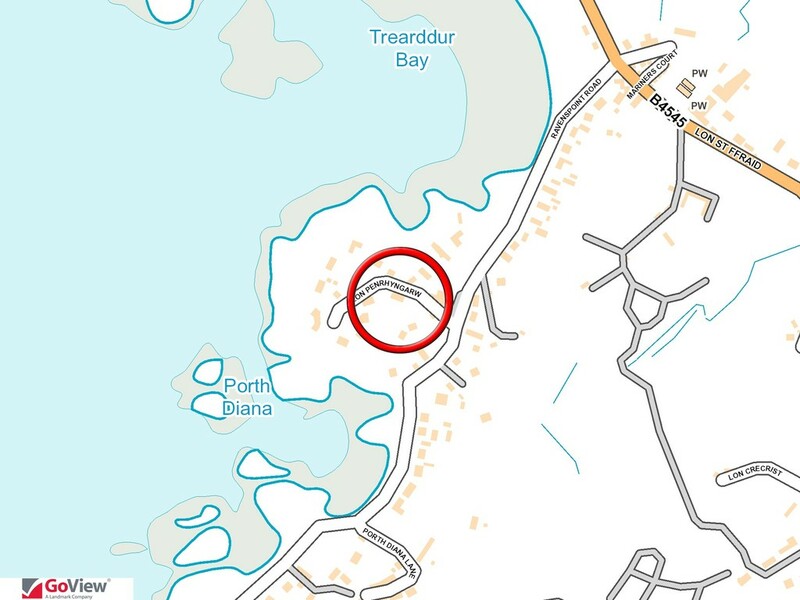 Included in the sale of Llan Tropez is the use of a permanent running mooring for a dingy off the headland overlooking Porth Diana, many of which have been established here for many years. 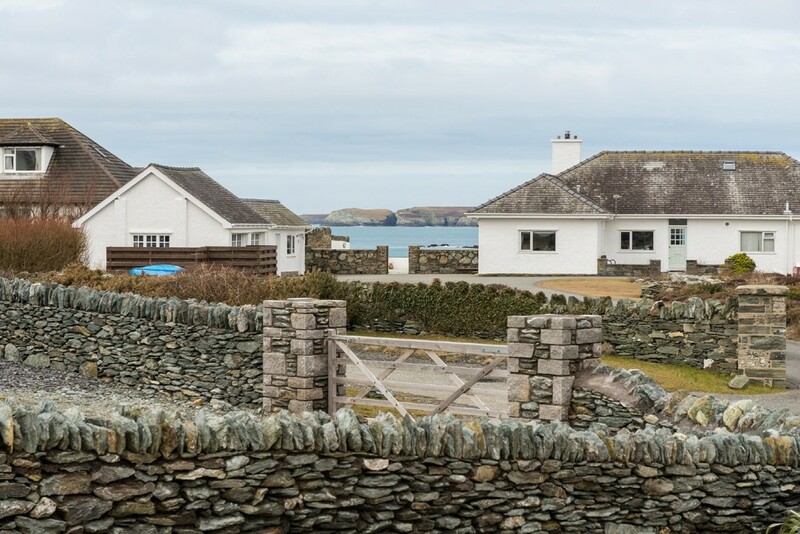 Nobody owns them outright but have had traditional use of them for nearly a century. 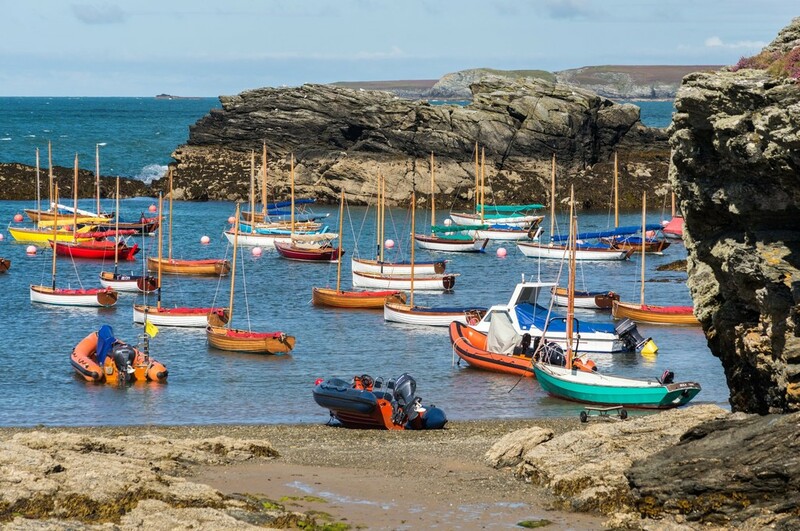 This includes a multi-tide-level metal ladder which has been in-situ for some 25 years - definitely a bonus for the budding mariner. 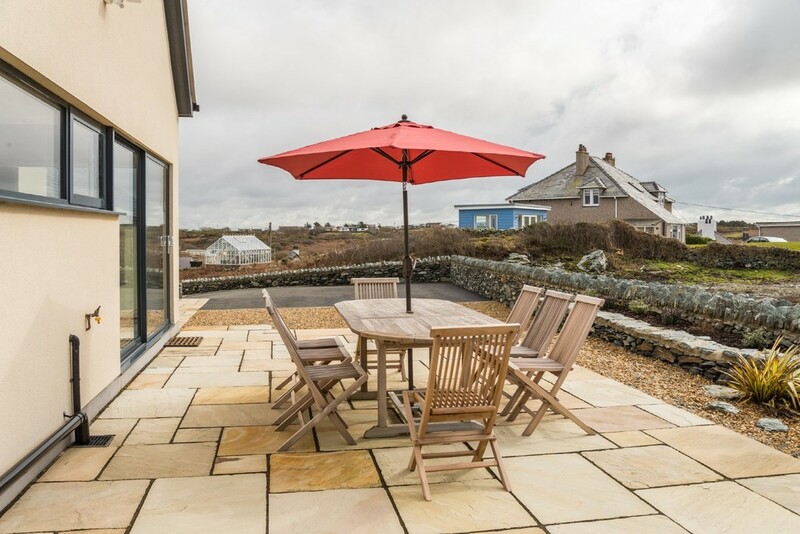 Llan Tropez is approached via a sloping driveway with an abundance of private parking with the gardens primarily prepared for minimal maintenance with pristine granite faced boundary walls. 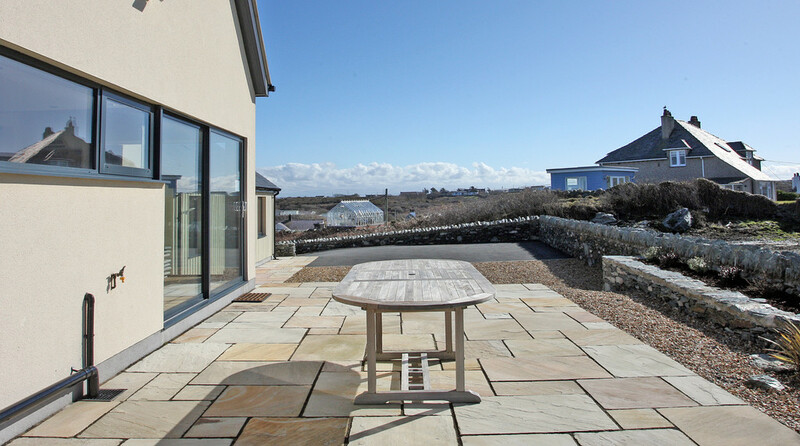 Purposed made paved patios are positioned to maximise your enjoyment of the location. 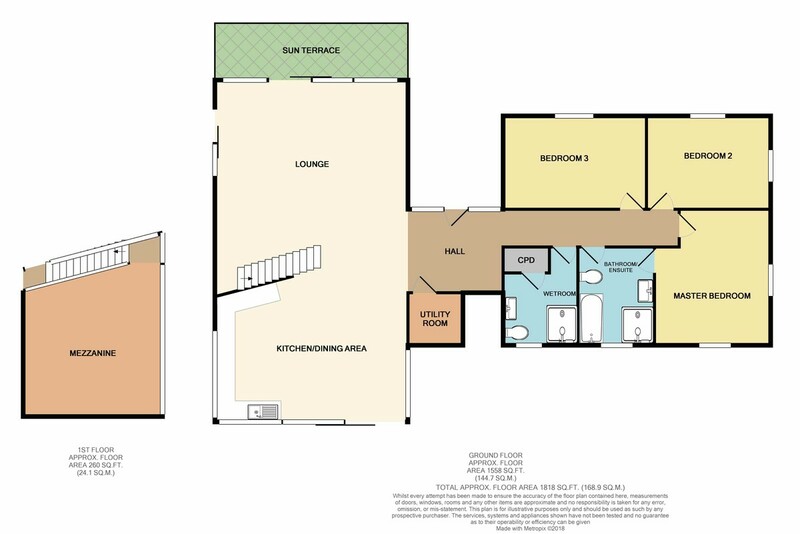 In addition, planning permission has been granted for the inclusion of a double garage and sun lounge (planning number: 46C397N), the inclusion of which adds further value to this fine dwelling. 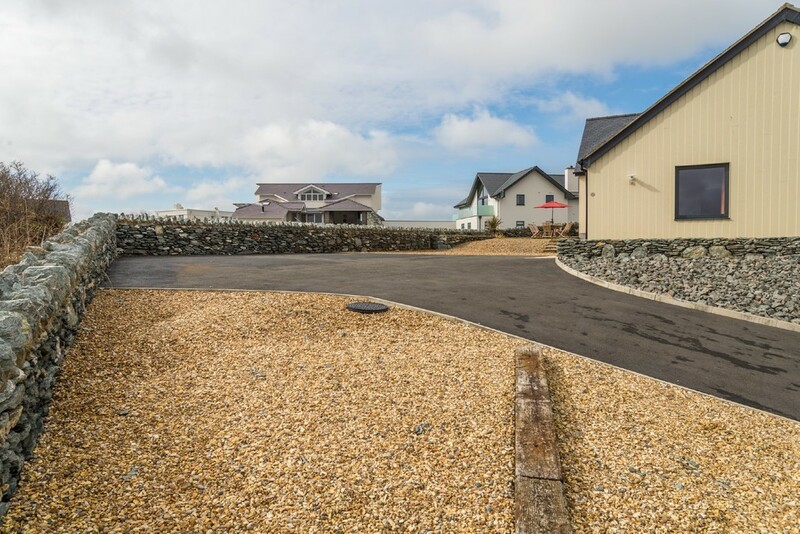 LOCATION Lon Penrhyn Garw is a dead-end private shared driveway leading off Ravenspoint Road. 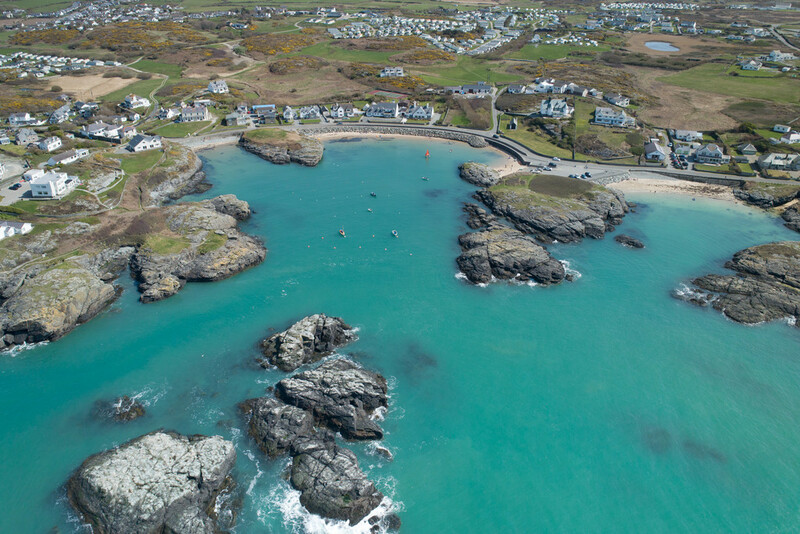 This particular road is quite a revelation as it skirts the coastline from Trearddur Bay, passing by numerous sandy bays and rocky coves before rising to higher ground. 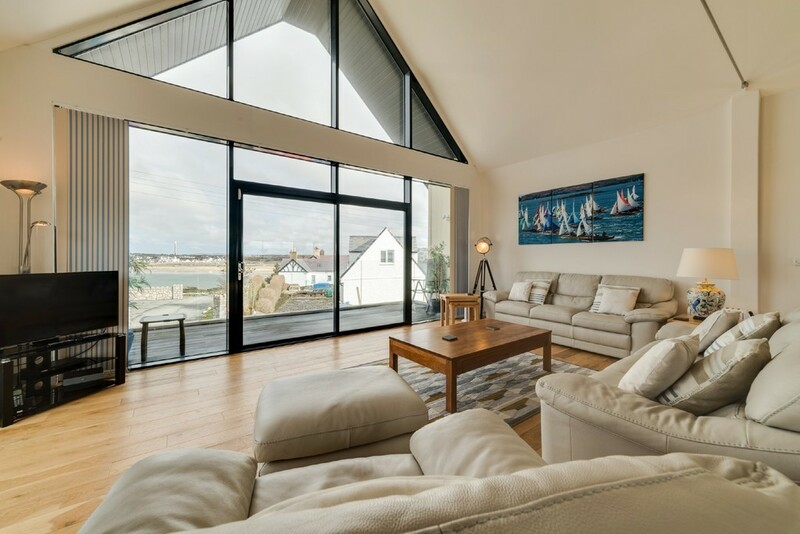 Much of the property and architecture in the locality is quite diverse, ranging from traditional designs to cutting edge contemporary residences. 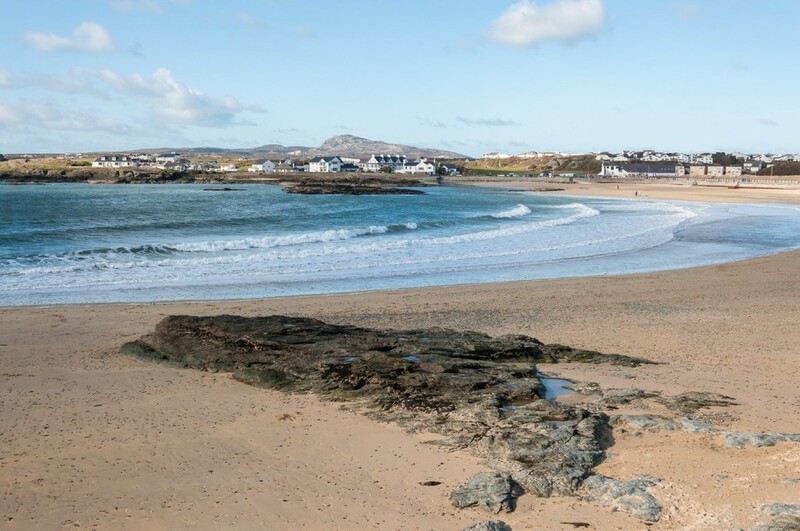 Trearddur Bay offers a good range of local amenities which include a range of excellent restaurants/eateries to suit all pockets, a golf course and not forgetting the excellent beaches and sailing/watersports facilities catering for surfing, kayaking, fishing and diving to name but a few. 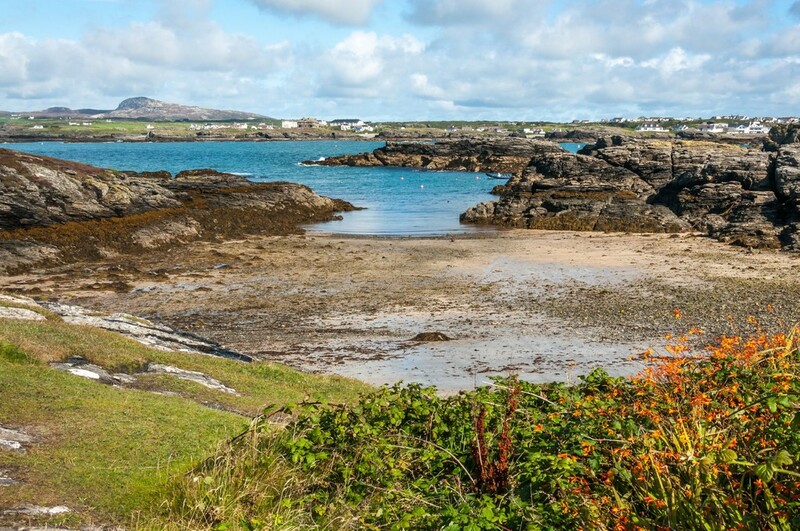 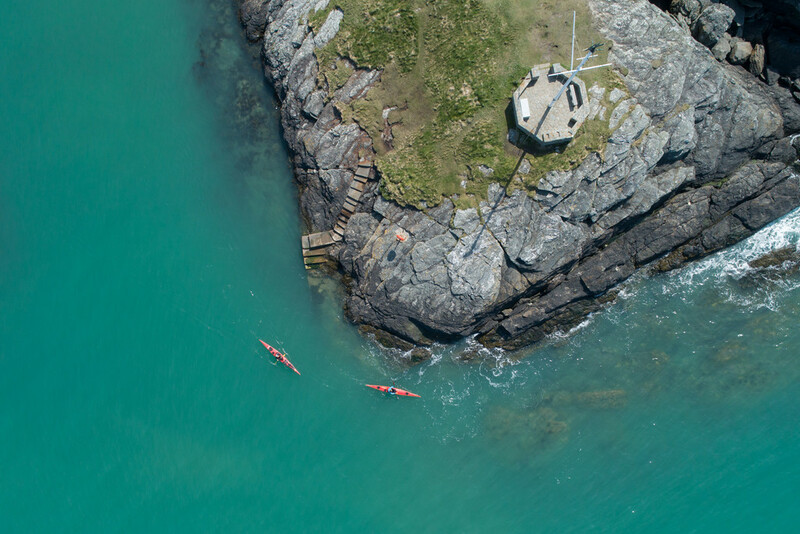 Apart from the footpath situated right in front of the house which leads directly to the main beach there are numerous cliff top paths which are close to your doorstep, with walkers able to enjoy over 120 miles of Anglesey coastal walks. 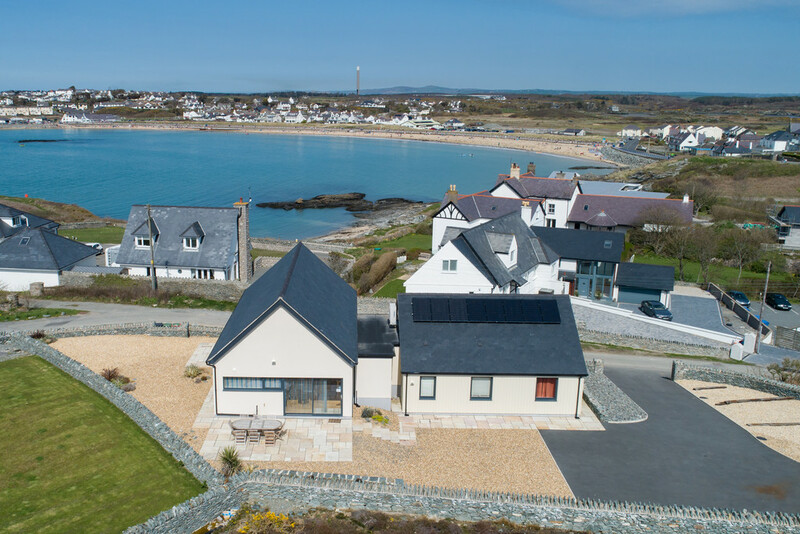 Trearddur is very much a firm favourite for those requiring a permanent home by combining the delights of beautiful natural surroundings with the convenience of fast access along the A55 Expressway to the University City of Bangor, North Wales' coastal towns, Chester and the motorway network. 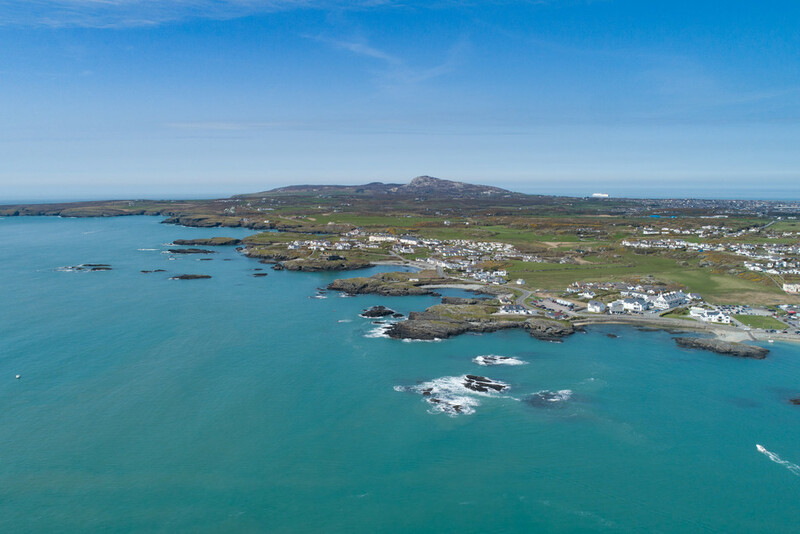 Direct trains run from Holyhead to both Cardiff and London and the conveniently located Port of Holyhead which boasts an excellent retail park, is the gateway to Ireland. 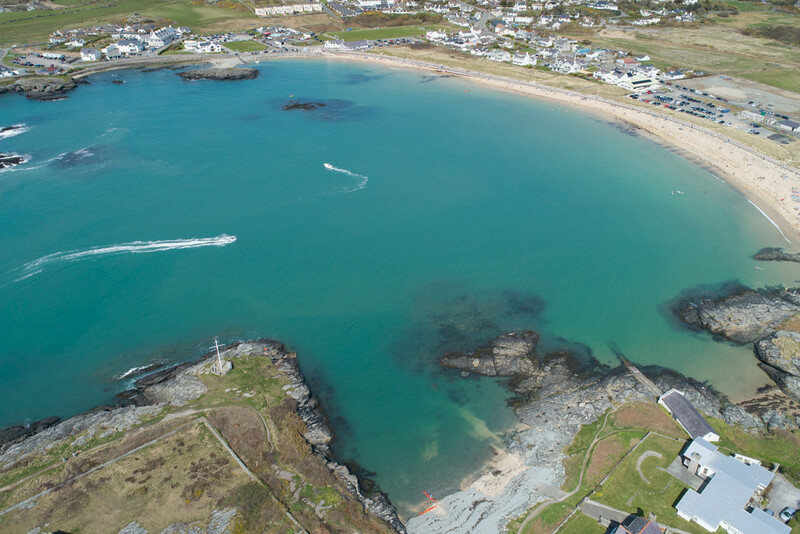 Anglesey is celebrated for its diverse and dramatic coastline, but there are also a varied range of attractions to be found on this part of the island including the well-known racing circuit at Ty Croes for all you motorsport enthusiasts, historic monument sites dotted across the entire island and there's even the splendid mountainous region of Snowdonia located on the mainland to explore.